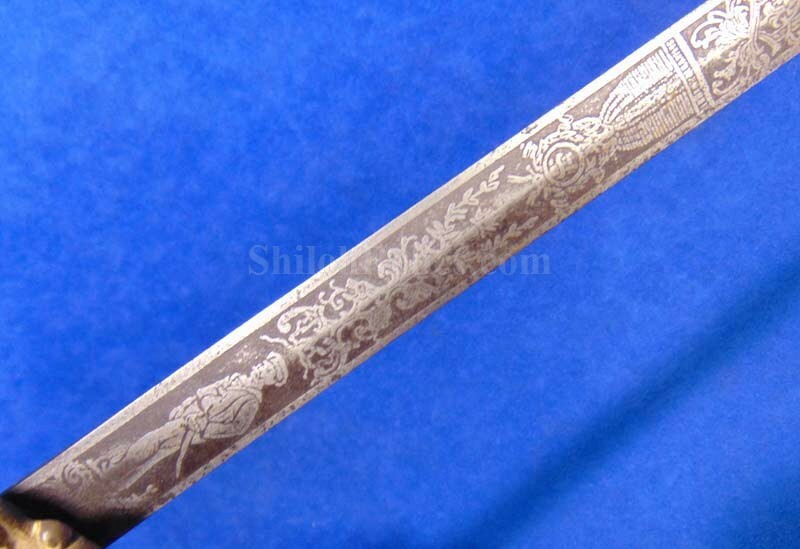 This is a nice looking sword from the late 1800's. 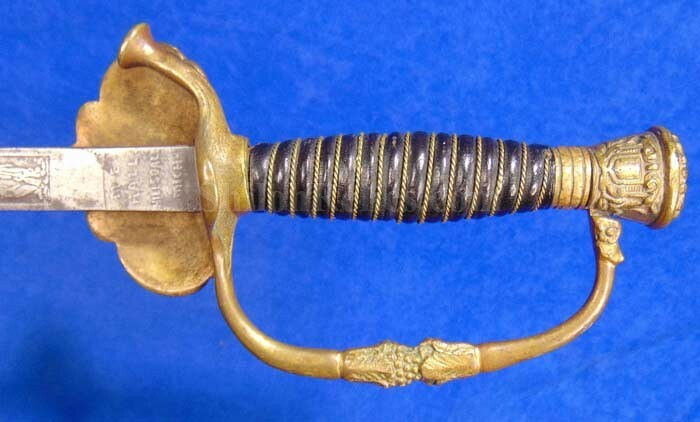 It is the dress sword from the Sons of Veteran’s organization which was related to the Union veterans of the Civil War. Known as the G.A.R. or Grand Army of the Republic they were the best known of the veterans groups after the Civil War. This is from the Sons of Veterans referring to the Sons of Union Civil War Veterans. 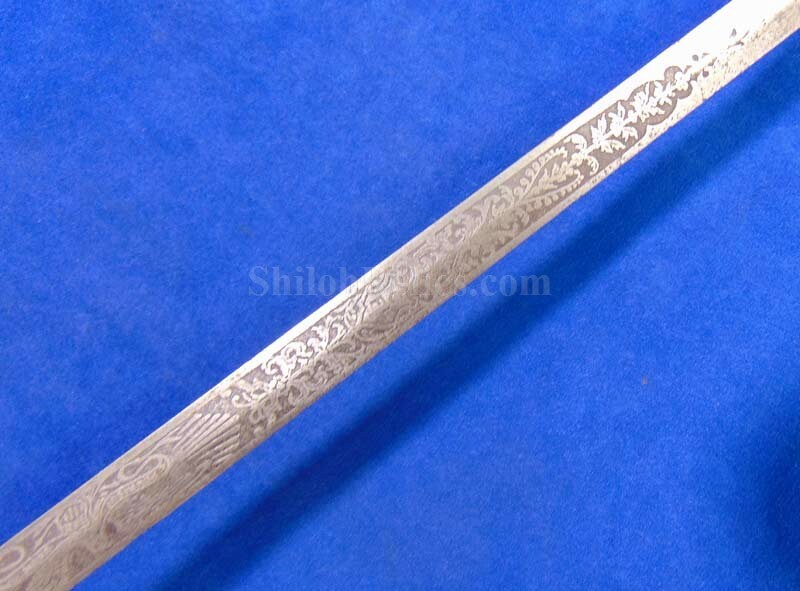 This sword has a full-length blade and you can still see the etching on the blade. 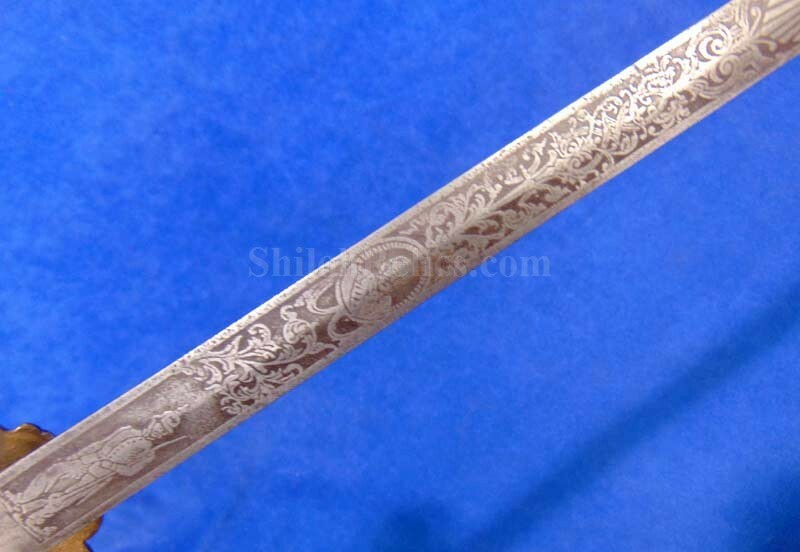 On each side it has the patriotic and floral designs. 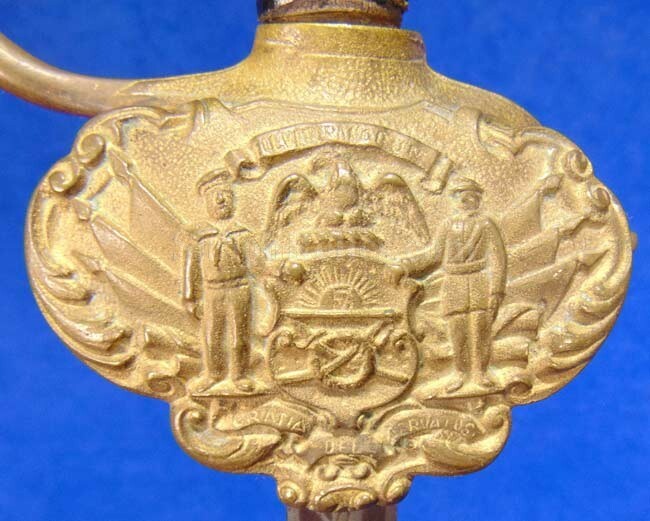 The front side has the Eagle design as well as the Sons of Veteran Medal Design. 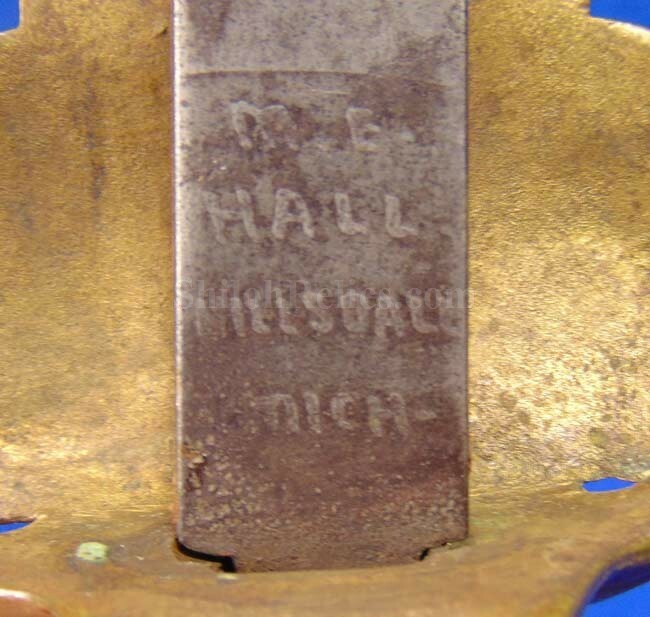 It also has the maker’s mark of the Marvin E. Hall Company in Hillsdale, Michigan at the base of the blade. The masker book states that they were in business from 1881 and stayed in business through the early 1900's. The handguard has the beautiful clam shell design with the proud Sons of Veterans seal design. 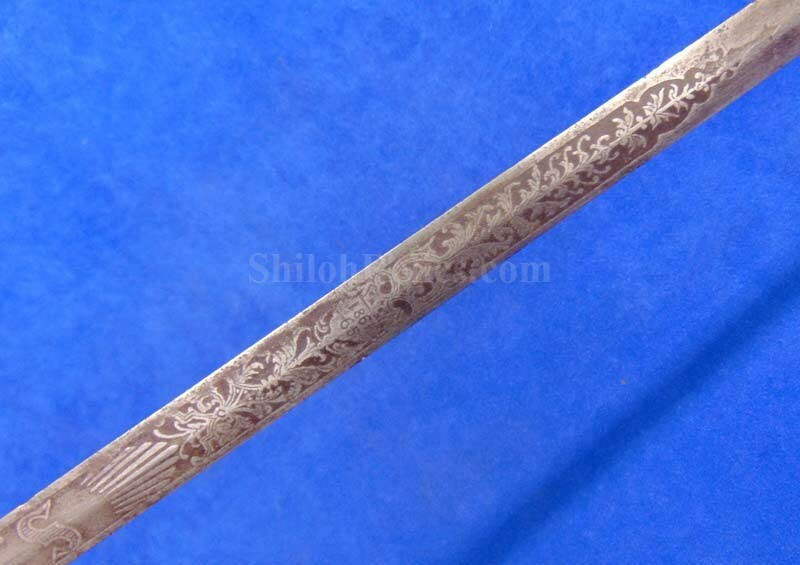 The original handle is intact with nice leather remaining over 99% of the base material. 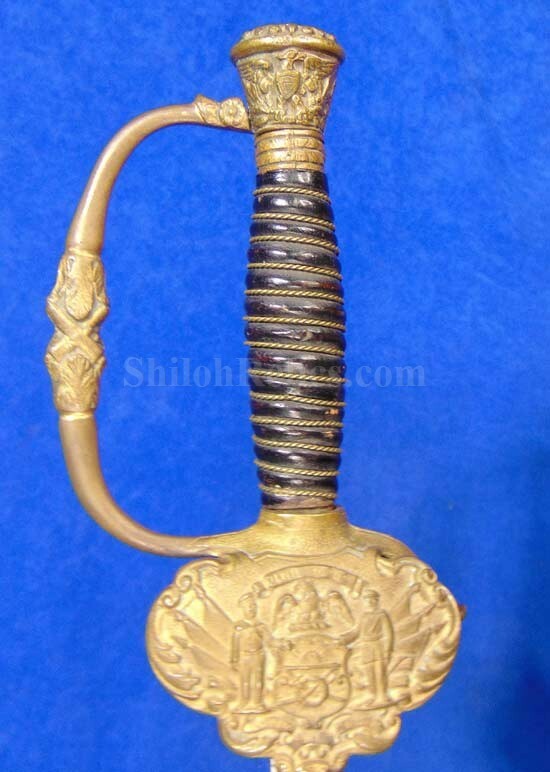 The sword is missing the scabbard as is so often the case. 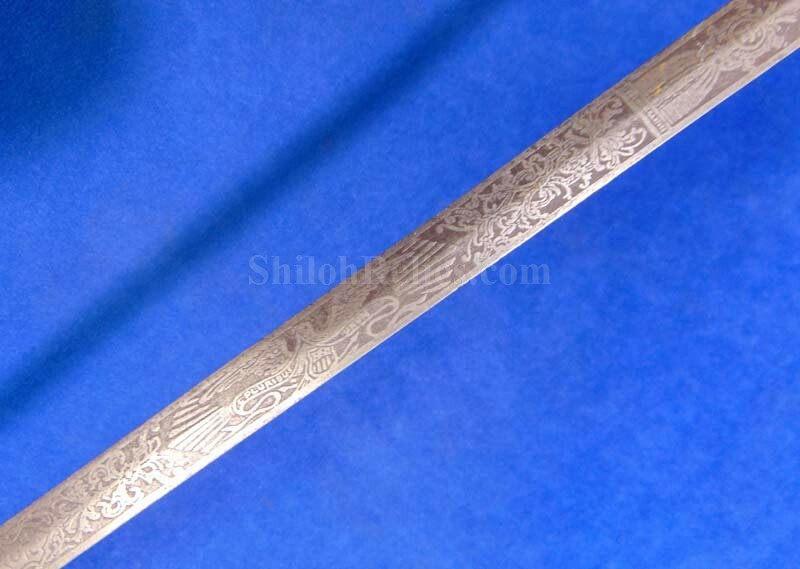 This is a great displaying sword for the price!